This 3 foot chimney kit is recommended for outdoor wood fired oven installations that are finished in the Adobe style. 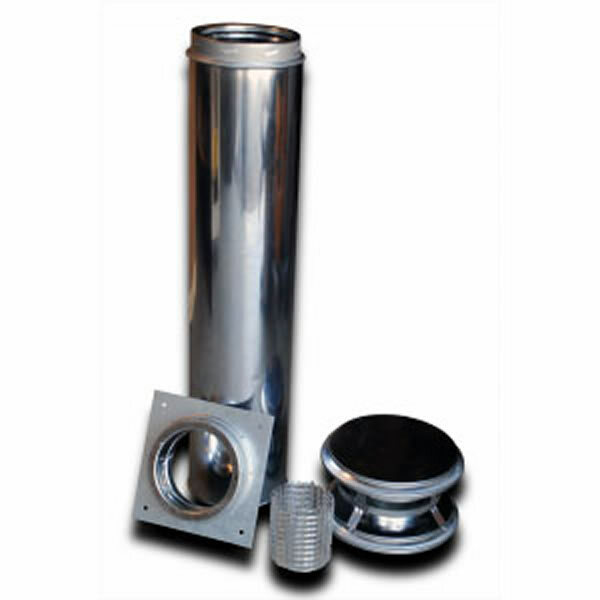 The kit includes an anchor plate, 3 foot piece of pipe, spark arrestor and chimney cap. This kit is compatible with all our wood fired ovens.